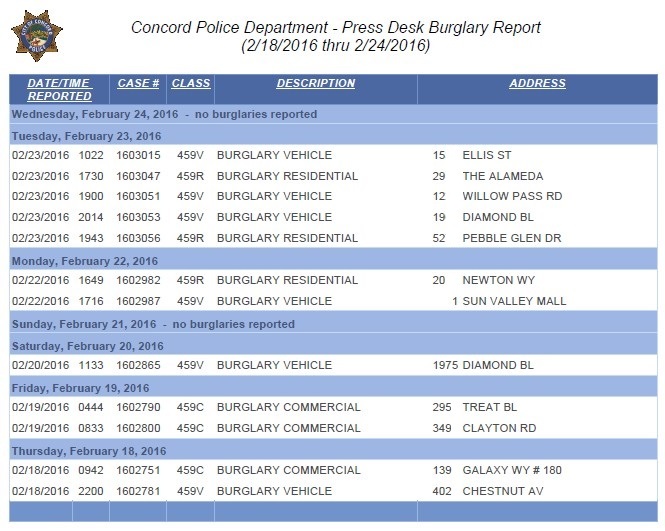 This week, Concord had 12 burglaries. The week before, Concord had 18, and before that, Concord had 9 burglaries. The last number in some of the addresses has been deleted to respect the privacy of the victim(s).